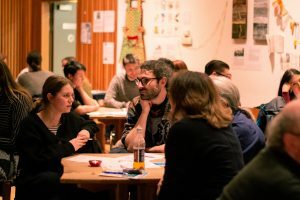 Real Talk is set to host Mind the Craic, a community empowerment research project, at the Scottish Story Telling Centre, where ordinary Edinburgh citizens will perform as storytellers for the night. The event will take place on Monday 25th March from 7:30pm and will centre on people being given the space to share their experience of issues like social isolation, discrimination and poverty and how charity and voluntary organisations have touched their lives. Lily Asch, Real Talk Founder, said: “We are so excited about our collaboration with EVOC and Mind the Craic. We’ve been working with a group of individuals, including both service users and support workers, to empower them in crafting a 10 minute story about some part of their journey. “The process has included two storytelling workshops and will culminate in an intimate performance at the Scottish Storytelling Centre. The event forms part of Mind the Craic research project which was was initiated in June 2018. 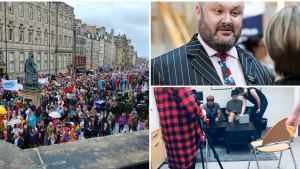 Since then the voices of over 1000 people from disenfranchised groups including people affected by issues like social isolation, mental health issues and discrimination have been gathered. Virginia Bjertnes, Mind the Craic Project Worker, said: “After hearing all the different experiences during the research, it felt right to provide a setting for sharing and discussing these experiences. It is hoped that findings from the research, which is due to be launched as a report an accompanying documentary will raise awareness around social issues in the city and provide a solid base of evidence for the importance of investment in prevention and early intervention. 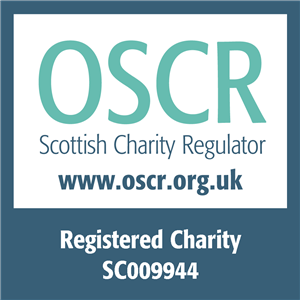 The Mind the Craic project is an initiative by EVOC in partnership with Volunteer Edinburgh and Edinburgh’s Third Sector Strategy Group (TSSG). This storytelling event will be held in partnership with Real Talk, a social enterprise dedicated to helping people share their experience of mental ill health and celebrating the authenticity of those experiences. The event is free, but tickets are required. To book please visit https://realtalkmindthecraic.eventbrite.co.uk. Grab your magnifying glasses, deerstalkers and Dr. Watsons. We need you, Edinburgh. 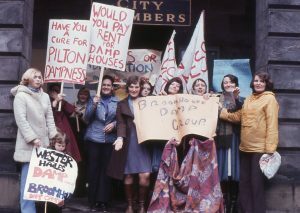 EVOC has accumulated an archive of some wonderful Edinburgh protest and campaigning photos. 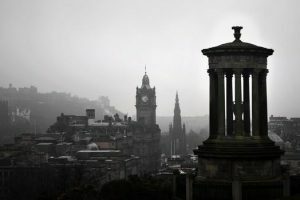 They are not just part of the Edinburgh Third Sector and EVOC’s heritage, but also form a beautiful time capsule of Edinburgh’s past. It started off as a huge box of old photos, but the Living Memory Association has done a brilliant job of digitising and categorising them for the EVOC150 project to help preserve these snapshot memories. This is where you come in. Do you recognise your old neighbour in one of the photos? Is that you holding that sign to protest against dampness? Did your grandmother and her friend protest against the closing of the wash houses? We need your help in identifying the faces and protests in our gallery to find out more about the stories hidden behind them. Help us uncover more of Edinburgh’s past and the third sector. If you recognise anyone in the photos, remember one of the protests or even marched along, get in touch with us. 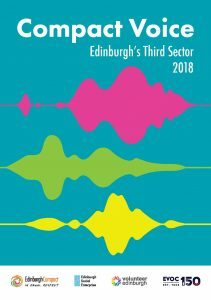 Please join us at the Quaker Meeting House to review The Edinburgh Integration Joint Board’s Outline Strategic Plan (2019 – 2022). This event will be an opportunity to ask questions to members of the executive management team regarding the plan. Summaries of the outline plans will be available from EVOC’s website shortly. This event is for third sector organisations only. There are limited tickets available for this meeting, please try where possible to book for one attendee per organisation. Please register for this event via our Eventbrite page – by clicking here. Please do let me know before Thursday 31 January if you have any dietry requirements. To provide support to organisations affected by the IJB Grants review, we have commissioned a HR specialist lawyer from Law at Work to provide information, advice and training. This will take place on Wednesday 19th December and we have tried to structure the day so you can receive advice on processes and legal requirements as well as the opportunity to have 1-2-1 sessions to provide more bespoke support and advice. The workshop is repeated to enable your Trustees/committee members to attend either at the beginning or the end of their working day. Participative workshop looking at the law around contracts, making changes and redundancy. HR Focused and solicitor-led. Participative workshop looking at the law around contracts, making changes and redundancy. HR Focused and solicitor-led, to be held in the EVOC Boardroom. Please book place(s) by emailing dianne.morrison@evoc.org.uk. EVOC is delighted to present its first ever podcast, which focuses on our Mind the Craic project. This podcast explains what the project is, what it aims to do and how you or your organisation can get involved. Thank you to everyone to made EVOC’s annual Conference and AGM such a success on 6th November. There was a real buzz around the venue as delegates browsed the marketplace and networked with their counterparts. There were some very interesting, passionate and challenging conversations taking place. This passion was echoed by Emmie Main who, in conjunction with Young Scot, spoke about the value of volunteering to young people and her experience in the sector. We also wecolmed Cllr Cammy Day to give an introduction to the City of Edinburgh Council’s Poverty Commission, which fits in with EVOC’s Mind the Craic project, and both will look at how prevention and early intervention can be used to find solutions to deep rooted social issues around inclusion, equality and poverty. We then welcomed our keynote speaker, Aileen Campbell MSP and Cabinet Secretary for Communities and Local Government, who praised the agility of the third sector and EVOC’s longstanding commitment to tackling inequality and poverty in the city of Edinburgh. There was also a panel discussion that aimed to answer the question: Thinking about the next ten years – do we need a bigger or a smaller third sector? The panel was chaired by EVOC Chief Executive Ella Simpson, and featuring Ewan Aitken, CEO of Cyrenians, Jan-Bert van den Berg, EVOC Convenor and ArtLink Director and Patrycja Kupiec, Director of YWCA Scotland. Questions and answers touched on lived experience, Brexit, gender inequality, zero hours contracts and much more. 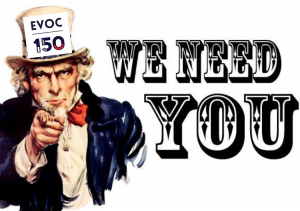 To find out more about what EVOC is doing to celebrate 150 years supporting charities and the wider community- visit our news pages and read our blogs. 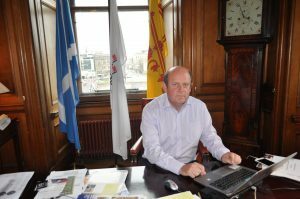 However, the Lord Provost pointed out that this was only a small sample and that the success of making sure the vision fits with what people actually think will depend on participation. He said: “If we don’t get a significant number of citizens engaged with this, it is pretty meaningless as a vision and it is key that we get young people across the whole spectrum of society to contribute.